This is a very common myth. This doesn’t mean it’s entirely untrue, however. The reality is that fertiliser can be misused, and when this occurs, damage to the soil and the crops in which they grow become very possible. To get to the bottom of this one, it’s important to understand what fertiliser is: a concentrated source of plant nutrients that can be organic or inorganic in nature. An organic fertiliser may contain blood or bone meal, whereas an inorganic fertiliser may contain super phosphate and other similar chemicals. There are many ways that soil structure can become damaged that go beyond fertilisation. The most common cause of damaged soil structure comes from not using sound soil management practices over the long term. Several years of neglecting the soil by failing to recycle natural organic matter, compacting the soil or engaging in excessive cultivation will inevitably render it unusable for farming. It is true that most of the nutrients in fertiliser will be retained by the soil if they are not used by the plants. However, this is not true of all nutrients. Nitrogen, for example, will be readily washed away in the winter season. The same is true of magnesium and potassium, which will also leach from the soil very quickly if it is sandy in nature. The ability of soil to hold nutrients is also directly related to the amount of organic matter it contains. Negatively-charged particles, like humus and clay, will hold positively-charged ions such as ammonium, magnesium and calcium. All too often, trees and hedgerows may be removed or discouraged from growing on farmland. But the reality is that they can both protect vulnerable soils from erosion. Not only do woodlands slow surface water run-off – some soil types have seen surface water infiltration rates decrease by as much as 60% when compared to adjacent land – but they also shelter soil and provide a habitat for wildlife at the same time. Hedgerows provide a sturdy barrier to soil-damaging winds. Nitrogen, although instrumental to soil health, can actually cause the catastrophic decrease of soil quality when it is present in excess amounts. Typically, nitrogen that enters the soil is transformed either chemically or biologically via a number of process that include mineralisation and immobilisation in the organic matter of the soil. When input of nitrogen exceeds output by vegetation, tree or crop removal, the function of the soil to protect air and water quality is threatened. This is because excess nitrogen input will change the rate of various nitrogen transformation processes. This has many negative results, including a loss of soil biodiversity and a decrease in the soil’s capacity for buffering and filtering. Ongoing excesses of nitrogen will lead to the acidification of soil, which ultimately results in decreased crop growth. There are many misconceptions about the role of organic matter in soil. The truth, however, is that organic matter is what makes the soil’s root zone healthy. Organic matter drives the biology, chemistry and physics of healthy root zones. In truth, improving the quality of soil isn’t as difficult as it may seem. The key is in understanding the type of soil of your fields. Next, you must know the condition of your soil. Finally, the steps you take to rehabilitate soil must be in line with its type and condition. Learning how to assess not only the type of soil, but its quality using visual inspection, is one of the most important ways to improve soil quality. This will provide many clues as to the nutrients your soil may need. 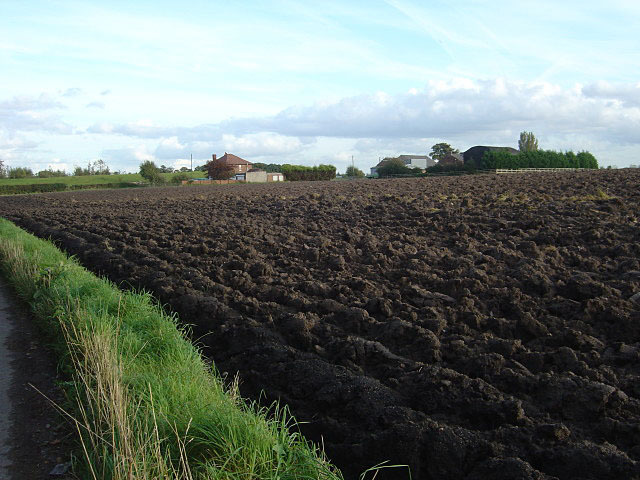 Many soil improvement methods exist. Generally speaking, however, some of the simplest include ensuring that the soil is covered in some way, whether by crops, plant or poultry manure. Covering the soil will prevent it from blowing away in exposed areas. Being aware of and adopting a natural growth cycle, and working with nature by employing techniques like crop rotation and seasonal cycles, can reduce much of the stress on soil; increasing its ability to accept and process nutrients.